Southern Utah University’s W. Edwards Deming Center for Quality, Innovation, and Leadership in partnership with The W. Edwards Deming Institute presents two opportunities to explore the management philosophies behind the corporate success of companies like Toyota, Pixar, and The Hillerich & Bradsby Company. The two events will be held March 29 and March 31 in Bryce Canyon National Park and Cedar City. The events will focus on improving quality, innovation, and performance in organizations. 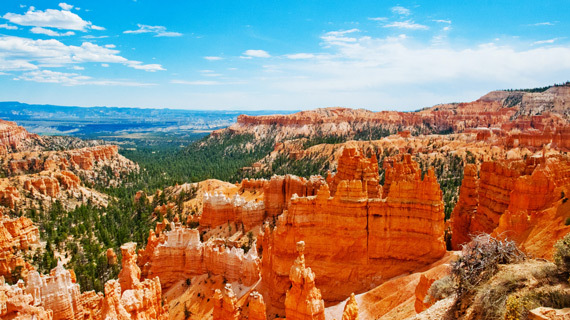 The first event, Deming Management in Public Leadership and Governance, will be held Thursday, March 29 from 11-4:30 p.m. at the Bryce Canyon National Park Visitor Center. This free mini-conference welcomes students, faculty, and professionals working in public administration, as well as anyone interested in improving the effectiveness and efficiency of public administration. Participants will leave with a new and deeper knowledge of the broad applicability of the Deming Management Method. Lunch and dinner will be included. Please register through the following link: https://deming.org/events/34-the-new-economics-deming-management-in-public-leadership-and-governance. Understanding the value and impact of the Deming System of Profound Knowledge, Dr. Ravi Roy, assistant professor of political science and the director of the W. Edwards Deming Center for Quality, Innovation & Leadership at Southern Utah University, established a partnership with the W. Edwards Deming Institute in 2017. “Building upon my long time involvement with the Deming Institute, I initiated the idea for a new Incubator that could serve as an experimental laboratory for new ideas and partnerships around the Deming philosophy,” said Roy. The W. Edwards Deming Center for Quality, Innovation, and Leadership at SUU is an incubator for innovative initiatives and partnerships employing Deming's Systems Approach. The center engages students in research-based learning, incorporates Deming practices in the classroom, and teaches the application of those practices in public, private and nonprofit sectors. The Deming philosophy focuses on transforming employer and employee thinking patterns to improve work quality, increase employee independence and implement improvement and education. Both events present an opportunity to learn more about the Deming philosophies, as well as engage with other professionals in an innovative setting. For questions, please contact Dr. Ravi Roy at royr@suu.edu.